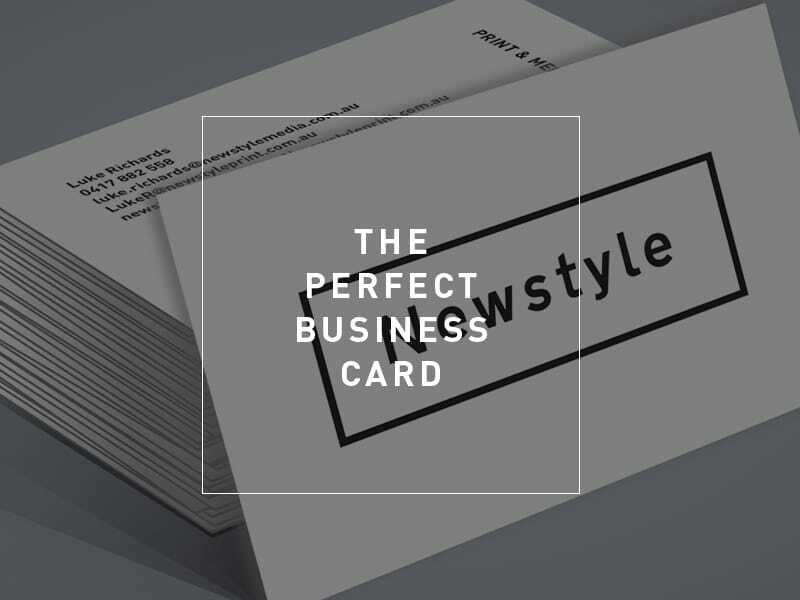 Having the perfect business card gives your professional brand a boost and leaves a great first impression on potential clients. Printing in the correct scale and having a superior design puts you light years ahead of the competition, and picking the right design from the beginning allows you to spend more on new runs once you are out of cards. A streamlined design will allow you to buy in bulk, reducing your price per unit. Here are some tried-and-true tips for getting the best business cards you can out of your Adelaide printers. Although there are industry standards for particular industries that you should know, do not be afraid to go outside of the box when it comes to your business card design. You need something that will make you stand out as unique without tripping over the vetted standards that your industry has set. One of the best strategies you can employ here is to study the design of industry leaders. Learn the type of fonts, the size of logos and slogans, and the design-finish techniques that seem to run across companies. Find your niche within this market and play to it through your design while following the standards that seem to be consistent among all industry-leading companies. Make sure that your design incorporates your full name, position, mobile, phone, physical address, postal address (with postcode), web address, social handles and social media account icons. This information is vital for creating a solid connection with your customers. Keep in mind that the bleed requirements for all artwork on prints should be at least 3 mm. If you have an ornate card, you will need to incorporate more bleed into your design. However, the sleek business card is usually the best business card. Less is more, and the attention should be focused squarely on the information. If you have a great-looking logo or slogan, by all means, be artistic and unique with the design. However, most business cards do not require a much more ornate design. Keep it clear — white space is your friend! Thicker business cards leave a better impression, especially if you are in an engineering or technology-based industry. Thicker paper makes sure you get a better printed piece from the colours and a better first impression. If everything else is equal, people pay attention to business cards that have a bit of weight on them. It is just another physical trait that will separate you from your competition in a good way. Savvy businesspeople use both sides of the business card. Not only does this maximize the potential of the design, but you may be able to add a backside at a significant discount if you use the same colour palette. Use the back of the card to present another piece of valuable information, such as a map to your storefront or a witty slogan. Gloss is not always the best option, so experiment with matte to see if the texture will create a better impression. In general, gloss works better with darker background colours, while matte creates a great business card with multi-coloured fronts or earth tones. Varnish adds the best of both worlds as does spot UV. You can also finish with a fold or foil blocking for an immediate effect that clients are sure to remember. Be sure to ask about laminating too. If you decide to use a thicker card print, you may benefit from embossing your text for added effect. Never underestimate the value of these small printing details; people put a great deal of weight on them. After all, they have nothing else to judge you by. Embossing is a professional technique that lends a bit of panache to any business card regardless of industry. The texture also gives a unique feel to the card so that your potential client will call your brand to mind when simply running a finger over the card. There are endless possibilities for your business cards, but following vetted tips such as these will never lead you astray. In all of your marketing endeavours, engage with your customers — they will tell you what they want if you listen hard enough! What Is A Press Check for Print And Why Should You Have One? Offset And Digital Printing – Which Is Better?